Who fancies sipping a dirty martini in an art deco speak-easy?! We do! Today our fabulous team have been busy creating the most fabulous art deco designs for an immersive corporate drinks evening party taking place at the Bloomsbury Ballroom, London. 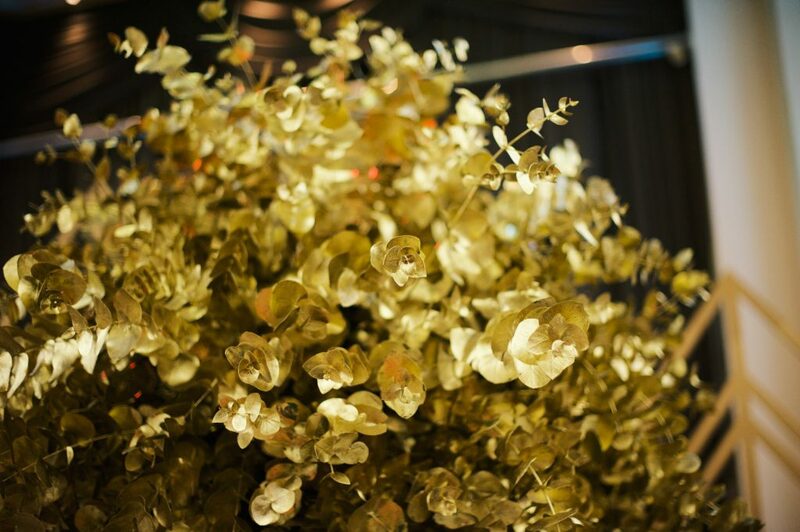 Enormous urns filled to bursting with fragrant golden eucalyptus sit at each end of an art deco silver mirrored bar to create a fantastic impact. Large & opulent occasional designs then adorn gold, hexagonal side tables to create sumptuous seating areas, perfect for a speak-easy vibe. 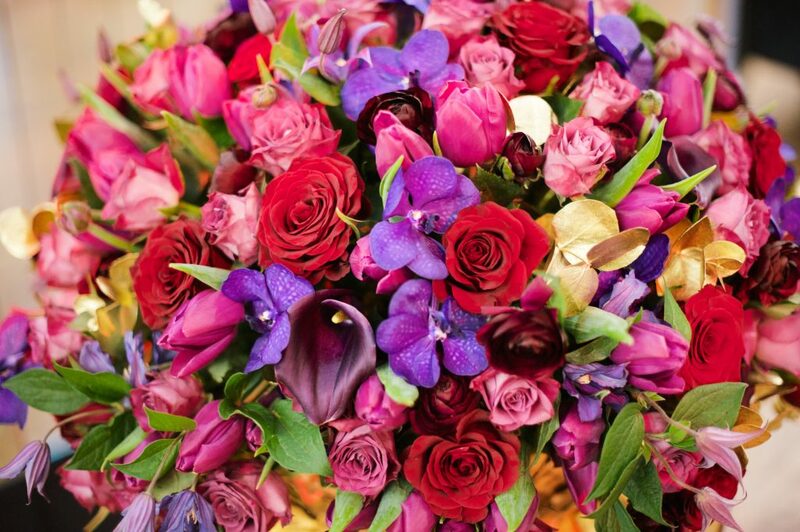 Our exquisite designs used rich, red grand prix roses, purple vanda orchids, black call lilies and deep cerise tulips – a sumptuous palette that sits perfectly with gold! 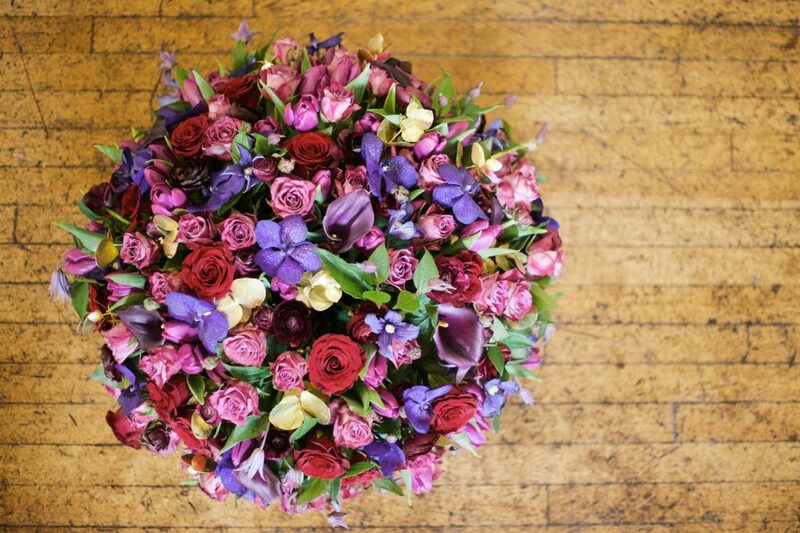 For more flower inspiration follow us at @larrywalshe on Instagram & Twitter. To discuss how we can transform your next event or celebration, get in touch with the studio.